The idea of Eternal Recurrence has been one of the core ideas in my life ever since I heard about it. I came to know about this idea through P.D. Ouspensky, but also Nietszche believed this model to be close enough to the Truth to be true enough. 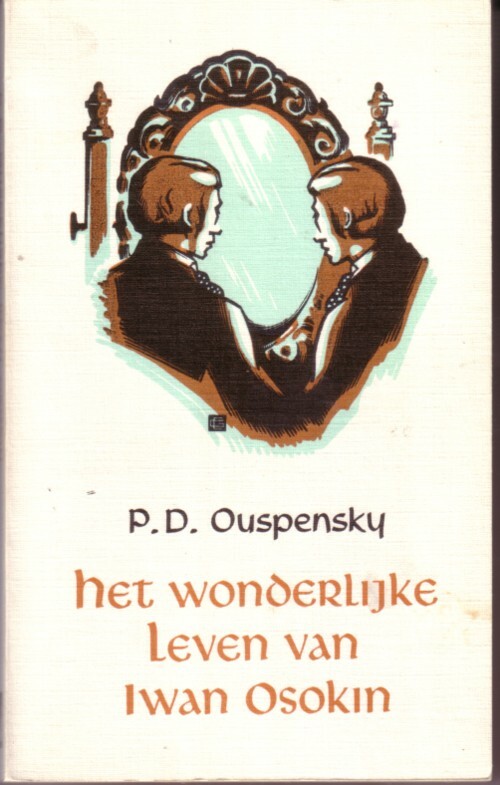 Ouspenky wrote a novel about the idea: “The strange life of Iwan Osokin” . But he explained the idea in his non-fiction books, for example “Tertium Organum” and ”A new model of the universe” . Eternal recurrence means that your life is eternal: you have lived it infinite times before and will live it infinite times more. It will be exactly the same for ever and ever. Unless you change it. Which, in the opinion of Ouspensky, was very very difficult. Nietzsche couldn’t handle the idea, he found it horrifying. The movie ”Groundhog day” is about this idea. And there are several other popular novels and movies that are inspired by the idea of eternal recurrence. About four years ago I saw a German television movie in which a woman got stuck in one day of her life, very much like the main character in ”Groundhog day” . But while in ”Groundhog day” the focus is on the change of the main character, in the German movie the focus is on the change of the circumstances, which is even more intersting than what happens in “groundhog day” . I wish I knew the title of that movie and had it on DVD! Anyway, the idea of eternal recurrence rings bells of Truth in my mind. I never believed the idea of reincarnation: reicarnation seems to me a mis-understood interpretation of eternal recurrence. I find it far more logic, more just and more aesthetic that we have an eternal life than that we go from one life to another. I don’t think that the idea can be proved, but in my life their have been pretty convincing hints that the idea of eternal recurrence is “true enough”. 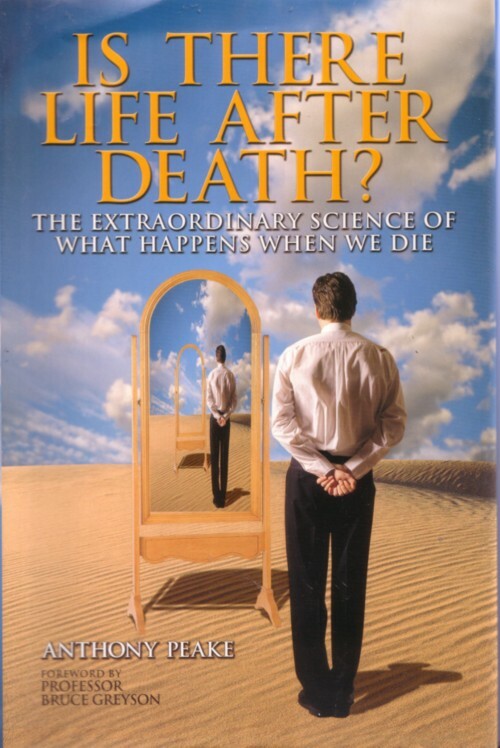 Recently I heard an interview with Anthony Peake, who has written two books about his take on eternal recurrence. I have ordered the books and meanwhile I read/listen/watch his publications on the Net. I don’t “believe” his ideas, so I don’t want to convince anybody else to do so. It is just that it seems to me to be some of the best ideas that I have encountered and I find them worth taking seriously. In the interpretation of Anthony Peake your life is a memory that repeats itself infinitely. There is nobody or nothing else in your life: everything is a product of your own mind. I don’t really exist: what you read right now is not typed by me, but only a thought in your mind. There are no others, there is only you. You are God in your own life. And here is a short film made by Ross Hendler, that doesn’t really fits with Ouspensky’s and Peake’s notion of the idea, but that does give a feeling of the maddening consequences that this idea has once you begin to believe it. If you want to hear more, there are 10 videos of a lecture by Anthony Peake on YouTube. One can’t reject ideas because they seem horrifying as well as one can’t accept ideas because they’re appealing. It is true that what we experience is only a representation of the outside world inside the complex combination of the carbon-based chemicals that we call our brain. One can conclude that through plain logical reasoning based on the scientific research on our senses and brain, but that being able to remember (a memory is a chemical reaction, which is different each time it takes place) things in advance is one of the consequences of eternal recurrence is a conclusion that I don’t get. It suggests that our experiences leave an imprint on our next-recurring DNA? I’m having problems with all the illogical solutions people come op with to deal with the existence and the nature of their own consciousness, our biggest problem being the inability to accept that fact that our existence is finite. Okay, listening to the 1st part of the interview now, I get it. So… right now I’m not typing this, i’m inside my dying body and remembering typing this and if I dream tonight, it’s like a “dream within a dream” and I dreamt that dream a 100 times before? Right on, Jan! Well said. I am easily tempted by ideas. p.s. still watching Peake vid’s and I’ll promise next time I won’t comment prematurely again… sorry :-) I admit it’s fascinating stuff and he doesn’t leave the recent neurological dicoveries out, like I thought. Eternal recurrence means that we are immortal. There is no death only death to the illusion that is energy. The illusion that is energy. You mean: our consiousness? In that case, it doesn’t make any difference to me. One day I will just cease to think and thus cease to be. I do not rationalize it, I completely don’t understand it. I’ve studied physics at a rather heigh level at secundary school and I keep reading about it (yes also about “quantumphysics”...), so “energy” and “movement” are very sharply defined for me. At the other hand I’m very interested in neurology, animal behaviour and filosofy and I try to stay up to date on that point. But one thing: what on earth is wrong with being a flashlight in the dark? I felt so liberated when I realised that! What a beautifull circle my flashlight makes! It’s unique in the whole universe. There will never be one like it again! Eternity would mean meaninglessness to me.